Another Amiibo release date has come and gone and I had one of the more eventful experiences I’ve had Amiibo shopping so I thought I would share it, especially since this is the last big Smash Brothers release. Over the last couple of days I was starting to get excited about this next wave. There are so many awesome Nintendo characters like Olimar, Retro Mario, and Gannondorf in this wave. There really wasn’t a single Amiibo I wasn’t looking forward to owning which is not always sometime I can say. Yesterday, I checked Reddit and saw that Dr. Mario was available for pre-order on Target’s website. Since I’m not not a morning person and pre-ordering would save me time today, I was happy and relieved to go ahead and pre-order it. This morning, I tried to get in line at Toys R Us right at the time time or a little before people would get there from Target (Toys R Us is about 10 minutes away so I was hoping around 8:00). Unfortunately, I slept through my alarm and got up a little late. By the time I get there I was around 15th in line which was disappointing but based on the previous Wave I wasn’t too worried about getting all the Amiibo today. Toys R Us gave out tickets to everyone and by the time the manager got to me, she still had tickets for every Amiibo so I was feeling good. Once everyone went in Toys R Us, the situation quickly changed. Unfortunately, the tickets did not match how many Amiibo were available on the shelves and Retro Mario and Gannondorf were both in much lower stock than the tickets led us to believe. As people started to realize this, people started panicking and things were a little frantic. I somehow managed to grab every Amiibo but Gannondorf who had already disappeared. I felt lucky to snag the last Retro Mario Amiibo Toys R Us had. People around me were confused and some people were angry and started complaining to Toys R Us employees. 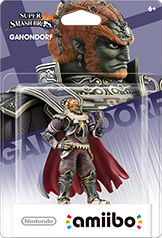 I knew that there was a Best Buy and Game Stop all within a couple of minutes from Toys R Us, so I figured there was no reason to complain and I should pay for the Amiibos I had and hit one of those other two stores to get Gannondorf. Fortunately, my strategy worked perfectly and while many people wasted time, I got out quickly, went to Best Buy and grabbed one of the only Gannondorfs they had left. So In relatively short order, I got all of the Amiibos that came out (with the exception of Dr. Mario which has already been shipped). Toys R Us did not do a good job of handling Amiibos and in many ways, deserved the complaints they were getting. If the tickets matched their stock, everything would have gone smoothly this morning. Compared to the last big wave, Nintendo stocked Amiibos pretty well and while Gannondorf was the rarest where I live, nothing seemed unfair or near impossible to get like Ness, Robin, and Lucina were last wave. All in all, I am both relieved, tired, and kind of glad that Smash Brothers isn’t getting any more big waves. I don’t know where Amiibo will go after the Animal Crossing ones are released, but I have enjoyed hunting down as many as I can over the nine to ten months. I’m looking forward to getting the DLC Amiibos over the next couple of months and can’t wait to see what Nintendo does next. I hope Amiibo hunting went well for all the visitors to Nintendo Figures and you can look forward to more new Amiibo content coming soon!